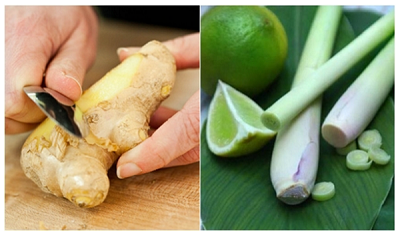 However, have you ever tried lemongrass lemonade water during your trip? If not, you missed something which belongs to Hoi An. Actually, you can find it somewhere else outside Hoi An, but enjoy it in the heart of the old town brings a distinctive flavor, something is more beautiful and special. Most of the tourist come to Hoi An always look for this drink after walking around Hoi An. Lemongrass lemonade water does not only have refreshment purpose but also have a lot of benefits because it is made from the ingredients which are good for health. It’s also considered as a detox drink but tastier and cheaper. There are many tea shops offering this kind of drink. 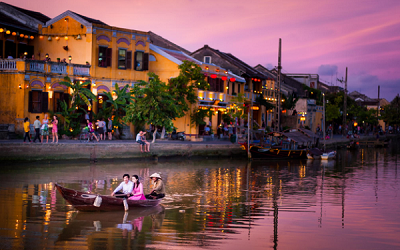 However, Mót which located in Hoi An is the most famous one. It is not only well – known for lemongrass lemonade water but also famous for the décor and other traditional drink. After you have toured Hoi An – The Ancient Town, passing by 150 Tran Phu Street, you will be attracted by a small teashop which décor simply with a vase of fresh lotus, 2 small desks, a pot of lemongrass lemonade water. Because it is a small teashop, it just offers takeaway service. A glass of lemongrass lemonade water costs VND 10,000 (about 50 cents). It’s really cheap for a great drink. You will be amazed of its flavor. Lemongrass lemonade water has the special flavor that you can not describe it in the word. 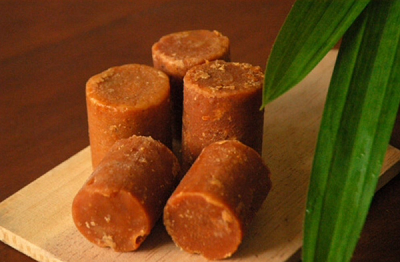 It has the lightly sweetness of sugar, sour of lime juice, a great fragrance of cinnamon, lemongrass, jasmine, and ginger. It brings to you the refreshing and relaxation. It’s served cold and decorated with a lotus petal, a green tea leaf, and a Chinese date. It’s really eye – catching. Once you’re in Hoi An, let’s find this teashop and give it a try. Of course, you do not have to travel to Quang Nam to enjoy this special water. You can make it at home from simple ingredients that you can find at any market. Step 1: Lightly pound the lemongrasses and ginger which help them to release essences, then boiled them and cinnamon with 1 liter of water. Step 3: Use a sieve to remove all the ingredients after boiling. Let’ it cool down and add lime juice. Put some ice cubes and enjoy or it can be served when it’s still warm. You can keep the leftover of lemongrass lemonade water in the fridge and use it within a day. 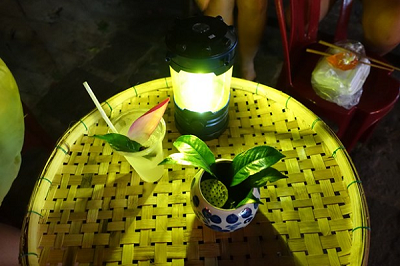 If you travel to Hoi An, Quang Nam, do not miss a chance to enjoy this lovely drink. It’s not because it’s tasty or cheap but it brings to you the indescribable feeling, especially when you are in Hoi An – the beautiful ancient town.